Till now, only YouTube accounts that had more than 1,000 subscribers could broadcast live videos. Plus, this number increased to 10,000 along if you were monetizing your channel. Luckily, they’ve backed down on that and from now on any user can do live broadcasts with no restrictions on the number of followers. To start broadcasting via the official Android app, just tap the floating camera icon and select the Live option. After typing in a title of the broadcast and selecting a thumbnail, the recording will start and any user can tune in live. Once it ends it automatically uploads to your account so it can be watched there as well. The sole requirement to be able to use this service is that the channel is verified through one of your accounts and has received no warnings or penalties in the last 90 days. 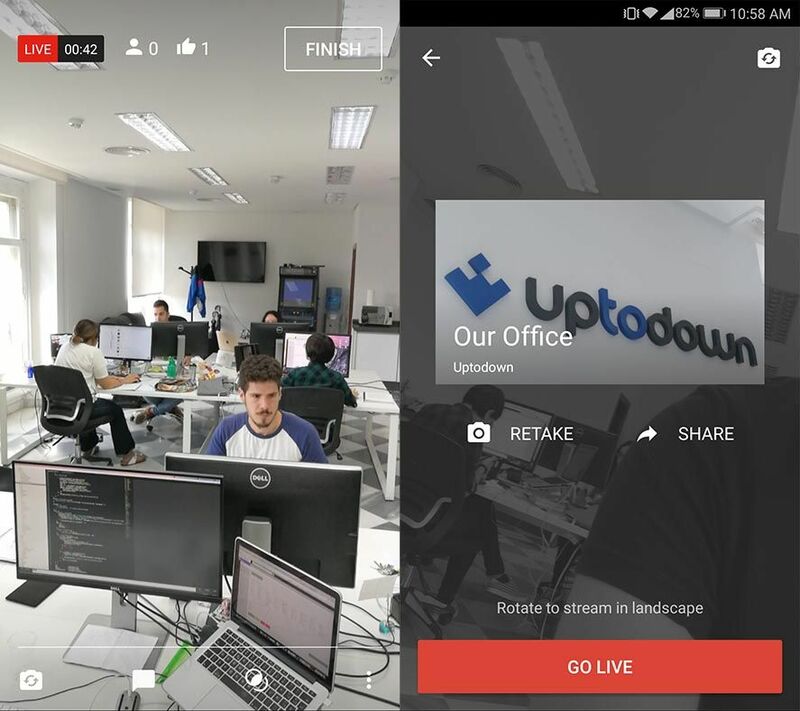 With this change they aim to compete directly with specialized services like Periscope and social networks that have recently added live broadcasts, as in the case of Facebook.